The inconvenient nature of carpooling instigates a great deal of confusion, and waste. Much to our chagrin, this daily mayhem applies to most people's lives. An attempt to get to the movies by calling up friends results in failure on many fronts, and in some cases, this excursion can conclude in a depressing session of rejection. In addition to this harsh experience, it is very possible that your friend's clunker is a meager 10 mile per gallon "beauty ride", making issues of gas money for your friend. On top of this, there is the fact that your friend may not actually want to be at the movie theater. 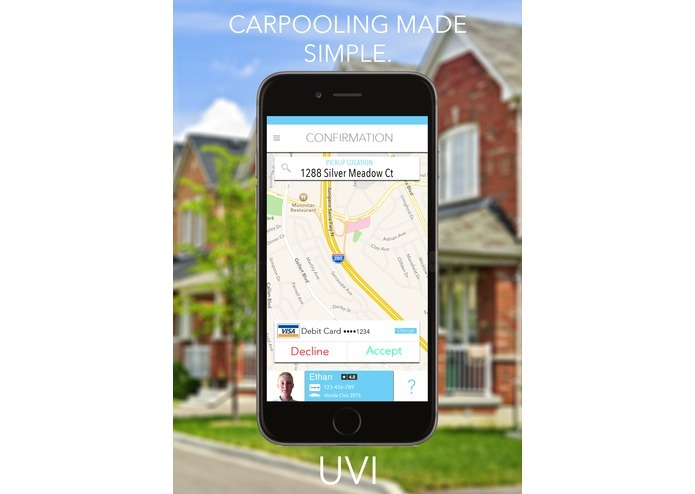 Our application can optimize the efficiency of your life by allowing a proper way to secure a carpooling ride, and it provides an option to split the gas bill with your friends in a gallant and noble act of gratitude. Lastly, and foremost, it makes sure that both people are getting a mutual benefit for that route. This effective creation of ride appointments is a powerful addition to the productivity of our lives. Appointments are a necessary element of our everyday lives. This allows us to schedule events and get to those events without hitches. Even this week, we had an issue with how to get to this hackathon due our parents' busy schedules. 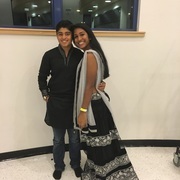 However, we were able to work this out by carpooling and making an appointment with each other via calls. But what if it could all be easier? This could definitely be easier, through our app, which will allow us to kill the confusion through its efficient way of pairing people that offer rides and those that need rides to get to a certain destination. The user creates a ride by having a start and end destination. This is stored, and a second user can search for a ride by entering a start and end destination. 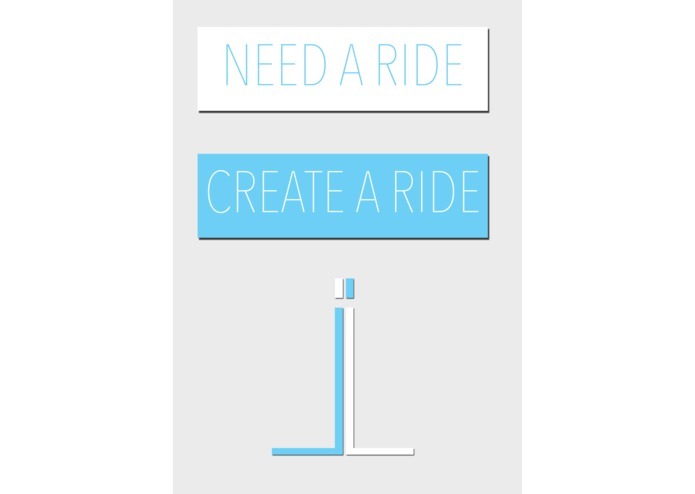 From here, users are paired with each other to create and finish the ride. First and foremost, we found issues in the actual user interface of the application. We tried to use web based language and push that into a mobile application through phone gap, but it was difficult for us to implement all of these features into a portable website. So, we had to restart our entire project in android. Secondly, we found difficulty in the realtime mapping with location bugs for longitude and latitude returning null. We are most proud of the map, and the fact that this application actually works. We found errors everywhere during development and everything that we did was learned anew. We learned how to use firebase, build a strong backend, and create a realtime map, use pubnub, use sinch, use android api, and debug large programs.